HANDMADE IN ENGLAND-Manufactured using 100 year old traditional techniques and the highest quality materials. IMPERIAL CUT- Brooks utilizes the imperial cut to relieve perennial pressure. SHAPE ADJUSTMENT- Use the threaded perforations to maintain the shape and increase comfort on the B17 Imperial. CHROME FRAME- The rails and frame are chrome plated steel for the perfect mix of strength and style. 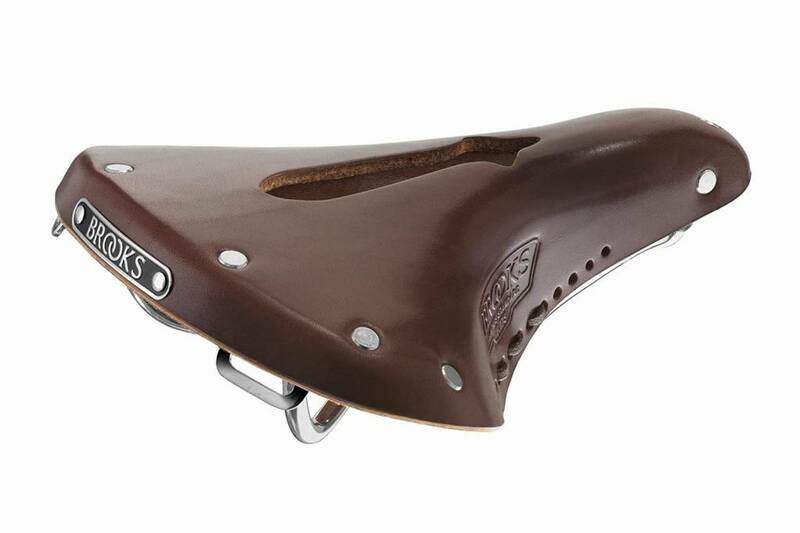 VEGETABLE TANNED LEATHER- Brooks uses only the finest European vegetable tanned leather for their saddles, bags and accessories.